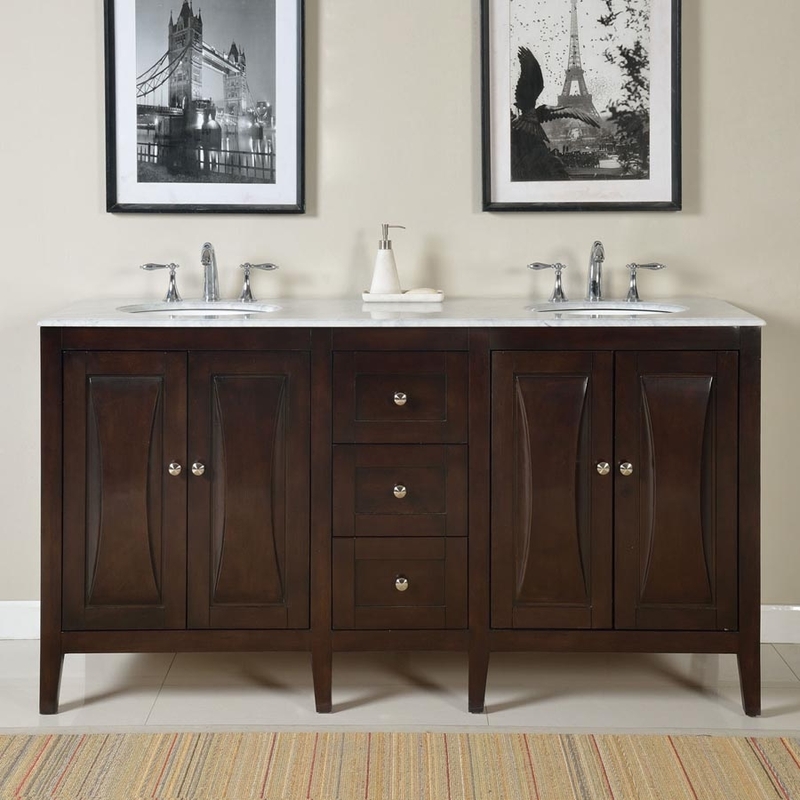 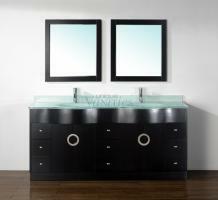 The clean lines of the design of this double sink vanity base gives the piece a bold modern look that is wonderfully enhanced by the slightly curved lines carved within the front of the cabinet doors. 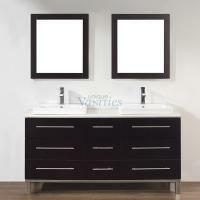 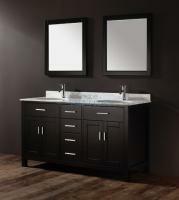 With two double door cabinets on either side of the three drawers, this base brings ample storage space to the bathroom. The counter top space is a very good size and made out of Carrara white marble that makes a nice accent to the deep espresso finish of the base. 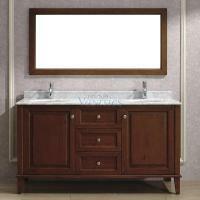 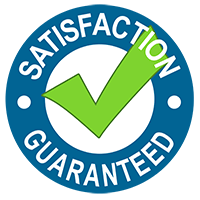 Sitting elegantly atop straight legs, this vanity will make a wonderful addition the usefulness as well as the looks of the bathroom where it is installed.